Hi I have problem with converting rm2k to vx ace tilesets they start animating on map! How I should fix it? Please upload both the unedited and the edited tilesets. It will help greatly if we can see them. One thing off the bat, A1 is for animation. 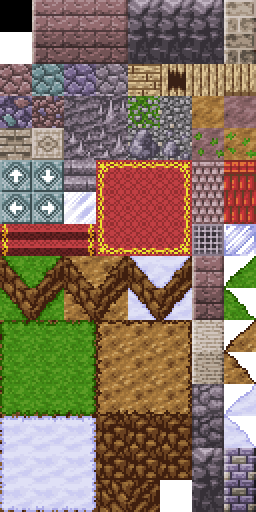 If you don't want the tiles to animate move them to A2. The water doesn't seem to be in the correct format, check to see how it's done in the rtp. Ok I checked the water tile is repeats two times! Should I do the same? Is it the same size? It needs to be the same size and shape. I don't think that correct I trying arrange tiles like they visible in rm2k database! With a small difference! 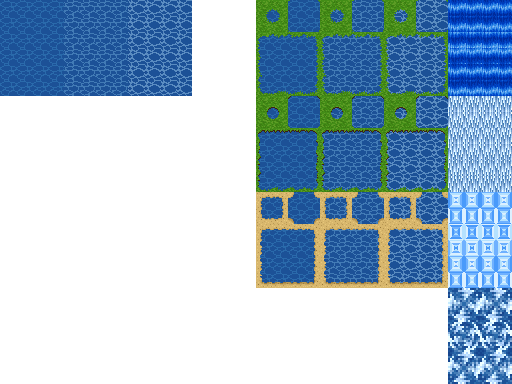 Sorry for triple post is the floor tiles goes in a2 or a3 tileset? Apparently A3 is for buildings/houses (as you can see the Outside_A3 from RTP) and such. If these are the single floor tiles (tiles of stairs or stuff like that) I would use A5. Thank you Mekuso! 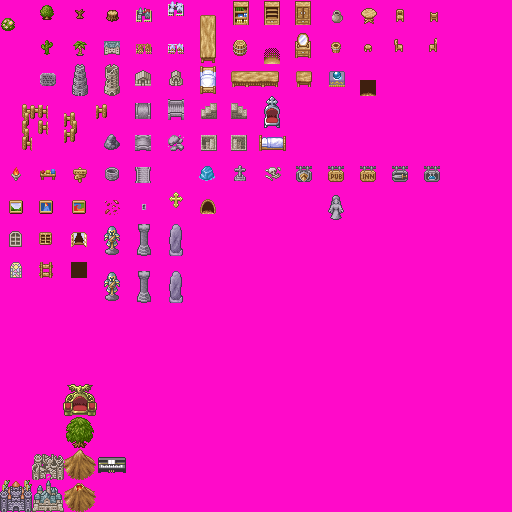 But I use for reference dungeon tileset! Is this is correct or not? If it works then it is correct. Ok I check thanks for ur helping me! Checked the tiles which one tile width and height are invisible on map so I move them to A5! I move these tiles and they appear on map! Now trying do same with walls! Please convert rm2k tilesets to rmvx ace for me! If you need links to a game from which I need tilesets tell me and I gave you file or link to game thanks anyway! What u mean by sounds like fun? From which game those tiles? 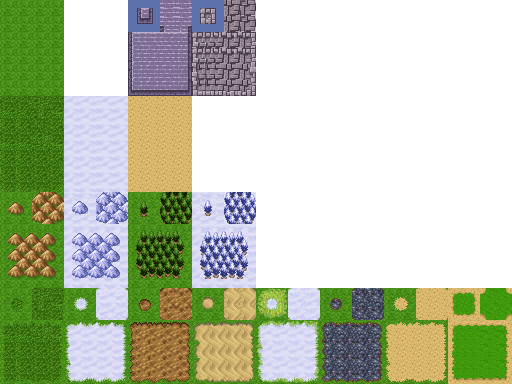 I mean is it from game or main rpg maker 2000 sample tiles! 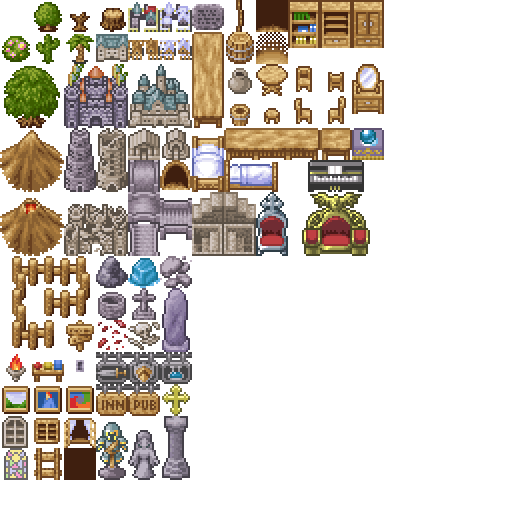 Oh but I need tiles from game digital monsters final stories aspecialy from ken's story from that game if u need link I give the link!